This was a pretty slow Twitter week for me. The good news? A&W will be opening 12 new stores in the Milwaukee area. I LOVE A&W. See below to find out more. RT @wausauherald 2/3 of those who died in WI snowmobile crashes were drunk http://tinyurl.com/d8peag - Drinking & driving applies to all vehicles! RT @MarkKass MkeHamburger wars? 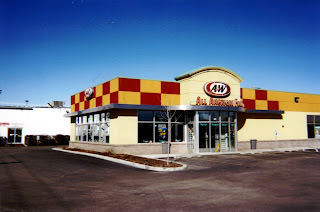 - A&W to open 12 Milwaukee locations following Sonic's arrival in the area. http://twurl.nl/8qshto - Yes!!! YouTube creates a place for academics on thier site http://tinyurl.com/c4e358 - Thanks @Yaybia. May 13, 2008 - the date of my very first tweet. What did it say? "following Glenn on Twitter." How utterly mundane. The point? The point is no matter who you are we all start out on Twitter (and any social network for that matter) completely clueless. The good news? I have found the Twitter community to be pretty understanding and more then happy to help. With that in mind I present some of my own Twitter guidelines. First, in order to be successful you need to know what your purpose is. Why are you Twittering in the first place? So many of us, myself included, jump into Twitter without a game plan. The sooner you figure it out the faster you will be able to gain influence and generate results. I use Twitter for several reasons. My overall goal is to build and enhance my brand, but apart from that I use Twitter to network and keep up on industry trends. NOTE: If your goals do not match mine the guidelines you choose to follow may be different and that's okay. 1) Above all else remember, you are a content provider. I believe this point holds true for everyone on Twitter. Whether you're selling shoes or promoting yourself. If the content you're providing doesn't appeal to anyone no one will follow you. 2) Cater to your audience. If you're trying to sell shoes you shouldn't be talking about tech news. Talk about new fashions and your product line. Remember your purpose. As a general rule I tweet about social media, the PR/advertising industry and travel. These are things I'm passionate about, so as I use Twitter to enhance my personal brand I will naturally attract an audience that is looking for these qualities. 3) Do NOT follow everyone. Just because someone follows you does not mean you have to do the same, nor does it mean they have to follow you. This is not Facebook. The people you follow should be those you find interesting and can help further your goals. You can still talk to those you do not follow with @ replies. 4) Join the conversation. I have the most fun on Twitter when I actually communicate with other people. That's what this social networking thing is all about, right? So lend some advice and supply a link. Don't worry if they aren't following you back. If you provide key content and engage others your following will grow organically. 5) Share the love. Now that you're tweeting it's time to give kudos to your fellow tweeters. Did you enjoy that last tweet? Retweet (RT) it! People LOVE being retweeted. It's a great way to give others props and increase your network. 6) Be human. Some may disagree with me, but I think it's perfectly okay (even good!) to let a few "boring" tweets slip out. It proves to the rest of us that there's a real person on the other side of the screen. Two weeks ago I tweeted, "Going home to pack and then off to Wausau for the weekend." Is this very exciting or meaningful? No. But it does give insight to my followers and explains why I may not be responsive during the weekend. However, you should be careful. No one needs a play by play of when you eat, sleep, wake-up and go to the bathroom. 7) Yes, you're on Twitter to promote yourself, but don't overdo it. A lot of times self-promotion seems like a dirty word, it's not. You just have to be careful how you do it. For instance, I typically blog once a week. I would like to more frequently, but that's where I'm at right now. As long as I think my posts are relevant I tweet them, but only once. Never RT yourself. If you blog multiple times a week or have other self-promotional channels try to keep it to a minimum. Only broadcast your very best and most relevant work. We know you're on Twitter, but we don't need it shoved down our throats. Do you have more Twitter advice? Did I forget anything? Share it in the comments section. Until next time this is @ladyhero signing out. It has been a busy couple of weeks at work, so here are my last two weeks of Twitter links. See below for lots of cheap travel opportunities and online tracking tools. Enjoy! Customized newspapers in L.A. http://tinyurl.com/awb8un It might prolong the printed papers lifetime. What do you think? RT @mashable Cliqset Wants to Unify Your Social Identities http://ping.fm/yiqEx - Has anyone tried it yet? RT @TravlAndLeisure 11 Money-Saving European Travel Tips: http://tinyurl.com/cxqc3t - For all my friends looking at Euro. vacations. RT @prblog @themediaisdying not sure if you saw top 10 newspapers likely to fold next? http://tinyurl.com/d25m4s - I hope not! RT @mashable Your Honor, I Tweeted http://ping.fm/bRZ7p - An interesting problem. RT @msnbc_travelTake in Madrid with a vacation from $599 http://tinyurl.com/ctyn4l - So tempting! The PR agency Waggener Edstrom has recently launched a new Twitter tool called Twendz. This tool is incredibly valuable for PR people and anyone else who is in charge of managing a brand. By now we are hopefully all aware that the first step to take before using social media is to listen. But even this first step can be daunting. After all, who has time to sift through hundreds of tweets? This is where Twendz comes in. After entering your keywords the tool pulls the latest tweets and displays the overall mood be it positive or negative. It's a great way to monitor what people are saying about your company or client. My only complaint is depending on your keywords it can take quite a while to load before you have any tangible results. You can read more about Twendz on CNET. Go check it out and let me know what you think. The past couple weeks have been filled with valuable and exciting social media events. Last week was Ragan and PRSA's second annual Social Media Conference for Communicators held in Las Vegas. This week brings the much anticipated South by Southwest* festival and conference for the music, film and interactive industries. The festival is being held in Austin, TX March 13-22 and will be the event I kick myself for not attending all year. But the point of this post (despite it's title) is not to complain about being stuck in dismal Wisconsin where I am excited by a high of 60 degrees. No, the point is to highlight SXSW's awesome use of social media. SXSW has truly embraced the third component of the conference - Interactive. It is obvious in the blog posts, hashtags, mobile apps and microsites. Here, I would like to highlight a few of the social media endeavors from SXSW that all communicators can learn from (whether or not they are at the event). The first is a blog post by one of my favorite bloggers, Rohit Bhargava. On his Influential Marketing Blog he writes "How To Blog, Party, Learn, Promote & Network Like A Rockstar At SXSW 2009." There are many tips in this post that can be used at any large conference or event. One of my favorite nuggets of wisdom is, "Take good notes. In other words, don't write down everything - just the "aha moments" that come from the session. Those are all you'll really need afterwards anyway." By now creating a hashtag for an event is hardly new, but it is incredibly useful. A hashtag allows event goers to communicate with each other and ask event organizers questions. Since Twitter is all about immediacy event organizers can learn about a problem quickly, and hopefully fix it in time to make sure everyone has a great experience. It's also a good way to keep in touch with media. Amid many mobile apps making their debut at SXSW, Mashable has dubbed "Foursquare the Breakout Mobile App at SXSW." "Foursquare, which offers an iPhone app or mobile browser experience, works by letting you tell the app where you are and then lets your friends know where to find you. All you need to do is check-in via SMS (text to 50500) or mobile app. Using the Foursquare iPhone app, you can automatically check-in and post shouts based on where you are and what you’re doing. You can also find your friends, search venues, earn badges, and add friends." I'm sure many will balk at this app as the end of privacy, but really, what is private anymore? As long as you have nothing to hide Foursquare is the perfect way to connect with friends. Still hesitant? Don't worry, Foursquare allows you to log-in and -out, so you won't have to worry about broadcasting your whereabouts while dodging an annoying friend. Microsites have also been a large component of SXSW this year. There was a lot of hype built around http://www.secretsxsw.com/; launched shortly before the festival. The site allows festival goers to keep track of all the cool stuff they can get for free! At an event this large you want to make sure you don't miss out on the best swag. It also provides businesses with a great way to reach their target market. The second microsite I found on Kevin Dugan's Strategic Public Relations blog. As a festival sponsor Pepsi went above and beyond the usual in-kind and/or check writing donation with a marketplace booth. To optimize their sponsorship they created a web site that truly provides festival goers value. Using Twitter, the web site tracks what SXSW participants are doing by breaking activities into six simple categories. The site also tells participants what's popular, where people are, where parties are and what interesting tweets were "overheard." The site accomplishes all this by collecting data from Twitter. This is one of my favorite SXSW social media examples. Pepsi nailed it. This is a classic example of a company remembering that it's not all about them. It's all about their customers. *South by Southwest (SXSW, Inc.) is a private company based in Austin, Texas, dedicated to building and delivering conference and festival events for entertainment and related media industry professionals. 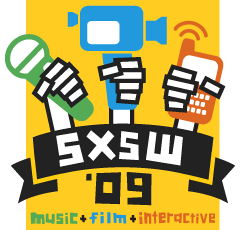 Since 1987, SXSW has produced the internationally recognized Music and Media Conference & Festival. There was a lot of social media and travel news last week. Look below for the new Skittles web site, find a way to make yourself look thinner on Facebook, find the best cities for Shopaholics and a list of the top 10 U.S. cities for vacation value. RT @sorayad @jonathanlandman A new thing for NYT: Local Websites Bklyn http://bit.ly/PlLuI & NJ http://bit.ly/7ZkaH - I hope it's a success. RT @VisitChicago Chicago made the list: Top 10 U.S. Cities for vacation value http://bit.ly/TGvCw - Some locations surprised me. Atlanta? RT @boelterlincoln @Charno @onmilwaukee Downtown Dining Week May 28 - June 4 http://bit.ly/EJf3G - Mark your calendars! To receive live updates follow me on Twitter @ladyhero. This weekend I helped do my part to jump start the American economy by visiting the mall. While making a purchase at Victoria's Secret I noticed the extremely personable woman behind the counter dropping a business shaped card into my bag. I assumed it was some kind of coupon and remembered to look for it once I was home. Below it provided the text number and code to receive more information on their newest bra and a special offer. I was hooked. Once I sent my message I received a response saying I had been added to the Victoria's Secret mobile list that would provide me with exclusive offers, event coverage and new product information. It also gave me a way to opt-out. I like this tactic for three reasons. It's a great way to grow your mobile list. As a Victoria's Secret credit card holder they could have easily added me to their mobile list without my knowledge. Instead, they gave me a chance to opt-in before bombarding me with messages. They gave me a quick and easy way to opt-out at the beginning. I don't have to call Victoria's Secret, visit a store or even check out their web site to opt-out. They included the option in their very first message to me. This tells me that they value my time and business. They gave me a good reason to stay. Not only do I want to remain on their mobile list to get the first special offer, but they also made it clear that my loyalty would be rewarded with more offers and information that I will get before the general consumer. And in case you're wondering what the "Perfect One" looks like. I found it (a bit early) on the Victoria's Secret web site. Enjoy. I hope everyone had a good weekend. This past week we learned about Australia's contest to hire a travel blogger (for $100,000), how the stimulus bill will effect high speed rail and Peter Shankman's "What's Hot on HARO" site went live. Submit your greatest creative ideas that got killed by clients at http://killedideas.com/. Winning ideas will be in a book. RT @skydiver Woohoo! Retweet the hell out of this please! www.whoh.com is live! What's Hot on HARO has a home! :-) iTunes rss in a few days!